The best way to record live music. Designed exclusively for StudioLive® mixers, PreSonus Capture™ configures instantly and offers all the features you need to ensure your live multitrack recording is as flawless as your performance. With features like automated Virtual Soundcheck, one-click recording, and record lock, no other software makes live recording as easy. 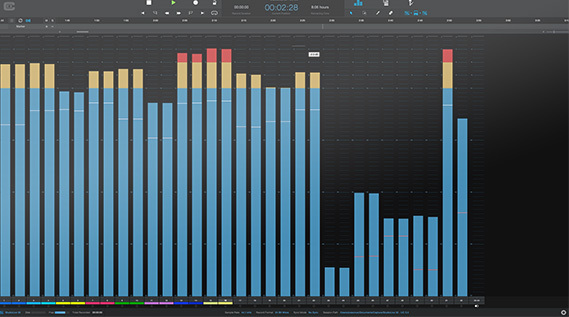 Bidirectional communication with StudioLive mixers creates a unique one-to-one workflow that streamlines making high-quality live recordings. 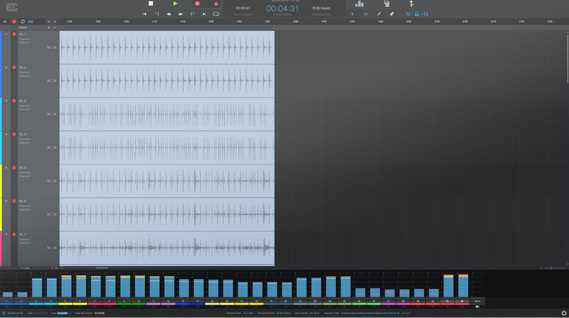 PreSonus understands that running front-of-house sound can be stressful, even without recording the show—so we made sure that Capture doesn't complicate things. All you need to do is click “Record Now” to start recording every input and a mix of your choosing via Capture. Preconfigure Artist Name and Venue fields in your Capture preferences and your new session will be named and stored in a folder structure organized by date and time, so you never have to search your hard drive for a misfiled session. Soundcheck with or without the band. Capture and the StudioLive digital mixers are the only hardware/software solution with a truly automated Virtual Soundcheck. Virtual Soundcheck mode in Capture allows you to open previously recorded sessions and instantly begin to dial in your mix by engaging the Digital Returns on your StudioLive digital mixer for you. Capture also provides you with the ability to store your StudioLive mix scene with your audio, eliminating yet another step and providing a great place to start your new mix. This powerful feature also broadcasts channel names throughout the network, so your mixer, UC Surface, and QMix-UC channels will be labeled for you. When you’re done with your Virtual Soundcheck, Capture closes the stored session and creates a new one with every track armed and ready to record. Now your front-of-house and monitor mixes are dialed in, and you’re ready to record tonight’s gig before the musicians even walk onstage. As the first live recording software of its kind, Capture was built to be rock-solid—and thousands of users will attest to its reliability. But we went a step further and provided the tools you need to make sure your recordings are perfect every time. 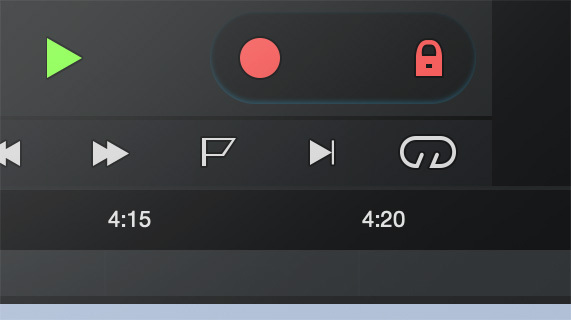 Record Lock is automatically engaged as soon as you hit the record button, preventing accidental keyboard strokes from interrupting your recording. The Prerecord option lets you capture audio up to a full minute before you even press the record button! Auto-Save stores your session at regular user-definable intervals. And as a final measure of safety, Capture displays disk performance and remaining record time in real time so you can monitor your computer’s performance as closely as you monitor your input metering. Capture’s single window user interface puts all the controls you need right beneath your mouse. Customization features like track color help to organize large sessions. 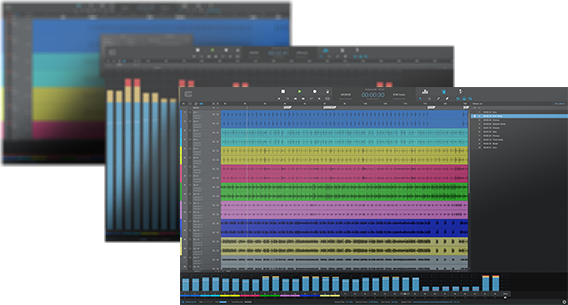 Track colors are shared with their corresponding channels on StudioLive Series III console mixers and inside UC Surface, so you can identify recording sources at a glance. Gorgeous, responsive metering and a large meter mode ensures that you always know your audio is getting recorded at the proper level. Capture runs both on your computer and natively on StudioLive Series III console mixers’ SD recorder. And with Capture 3, these sessions are now interchangeable. Audio recorded in Capture 3 for macOS® and Windows® can be loaded on an SD card to use for a Virtual Soundcheck on gigs where you don’t want to bring your computer. Capture sessions also open natively in Studio One with all the edits, track names and colors that were created in Capture. When you store your StudioLive mix Scene with your Capture session, Studio One’s console will load all your StudioLive mixer settings complete with channel levels, mutes, solos, and Fat Channel settings, allowing you to move seamlessly from Virtual Soundcheck all the way to the final mix.